None of our products should be used in place of proper medical care or to treat or cure any disease. 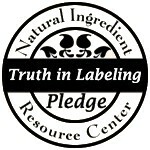 Nataurally NgaRoma will not be held responsible for any reaction to any ingredient or product we offer. We recommend you patch test all products to testfor any allergies. Any product offered by our company (including cosmetic colors) may appear differently on your computer monitor than in person.Naturally NgaRomawill not be held responsible for buyer's remorse. Any statements made on this site, in testimonials or other listings have not been evaluated and our products are not meant to diagnose, treat, cure or prevent any disease. Any advice given is not meant to be a substitute for professional medical advice. Please consult with your physician if you have concerns. Please do not use the information found on this website to treat or diagnose any medical condition. The advice given here is for information purposes only and is not to be taken as medical advice. Please respect the time and effort we put into our company. The content of this site may not be duplicated, downloaded, modified, posted or used in any other manner other than for your personal entertainment, information, education and communication purposes, without express written permission from Naturally NgaRoma. We are a small, family-owned and operated business. By keeping our prices low, we cannot afford to offer refunds or exchanges. We do offer samples of all our mineral makeup, so that you may try the products before purchasing full size. Samples are also non-returnable. If you receive a defective item, please e-mail us and we will resolve the issue. Thank you for your understanding. Should you have any concerns about an order, you must contact us within 15 days of receipt of purchase or we will be unable to assist you. Naturally NgaRoma may terminate, change, suspend or discontinue any aspect of these Web Sites, including the availability of any features of the site, at any time and without notice. Naturally NgaRoma also reserves the right, at its sole discretion, to change, modify, add or remove any portion of these terms and conditions in whole or in part, at any time and without notice. Naturally NgaRoma may terminate the authorization, rights and license given above at any time and without notice. By using this site, you agree to the terms of our policies. Coupons for Naturally NgaRoma printed from the finda.co.nz website may be used Once. Coupons are for use in store only. Coupons are redeemed through presentation of the coupon at the point of sale & must be surrendered to sales staff once discount has been applied to sale. Naturally NgaRoma reserves the right to withdraw or cancel the coupon offer at anytime. Coupons may not be printed for distribution without prior agreement of Naturally NgaRoma. Coupons may not be distributed through online forums or savings notice boards in local shopping locations. Coupons may not be exchanged for cash or used to purchase gift vouchers. Where the coupon is subject to a minimum spending requirement as written in the body of the coupon, redemption will be subject to the amount of full purchase. Naturally NgaRoma expects those who use their coupons to do so in good faith. Naturally NgaRoma and associated staff are at liberty to refuse a coupon if they suspect it has been tampered with, photocopied or suspect fraudulent behavior. All efforts have been made to ensure Naturally NgaRoma has taken all necessary precautions around the offer present on the coupon. Naturally NgaRoma accepts no liability should any unforeseen events transpire to prevent Naturally NgaRoma from fulfilling the coupon offer. Naturally NgaRoma reserve the right to vary or terminate the operation of any coupon at any time without notice.